Colombo, January 30 (newsin.asia): Over the last week, the global auto industry witnessed a collapse in operations as thousands of workers in Hungary launched demonstrations against low-wages and disparaging working conditions. The frustrations and struggles of the workers in Hungary are echoed in two folds as over 70,000 auto-part workers in Matamoros, Mexico digressed into multiple strikes over the course of two weeks demanding a wage hike from the mere 75 cents an hour they are drawing at present. The strike in Hungary falls in step with a spate of walkouts by Volkswagon workers in Slovakia, Ford workers in Romania and Chrysler workers in Serbia over the past year. The world is witnessing an unmistakable wave in the rise of the working class which has lost faith in company-led unions who march to the tune of the capitalist owners, and are organizing themselves into ‘authentic’ unions composed of workers committees. Conventional Workers Unions such as the UAW and Unifor are increasingly buckling into corporate manipulations and aligning with political intentions of mainstream parties, as is witnessed through the selling out of the teachers strike in Los Angeles by United Teachers Los Angeles (UTLA). Teachers in America’s second largest school district in Los Angeles commenced a strike in early January 2019, demanding higher pay, smaller class sizes and more education support staff. However, the resolution agreed on by the UTLA and with the support of International Socialist Organization is mediocre and the teachers are voicing distress at defeating the strike too early. Rosa Luxemburg observes in ‘Reform or Revolution’ that “people who pronounce themselves in favor of the method of legislative reform in place of and in contradistinction to the conquest of political power and social revolution, do not really choose a more tranquil, calmer and slower road to the same goal, but a different goal. Instead of taking a stand for the establishment of a new society they take a stand for surface modifications of the old society”. The natural ambition of a capitalist social order would be to thwart a revolution through reformist agendas and contractual agreements negotiated by a few selected ‘representatives of the working class’, who are either on corporate payroll to contain workers true grievances or use union efforts to win political mileage. This observation has proven true in the context of Sri Lanka’s estate workers struggle for an increase in their daily wage. 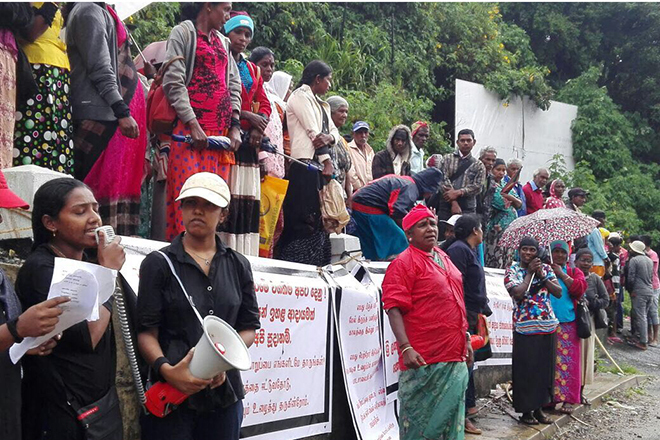 For over three months the estate workers in Sri Lanka have been demanding a minimum daily wage of 1000 LKR, in step with the rising cost of living in the country. This struggle was willingly adopted by the Ceylon Workers Congress (CWC) and estate workers unions. 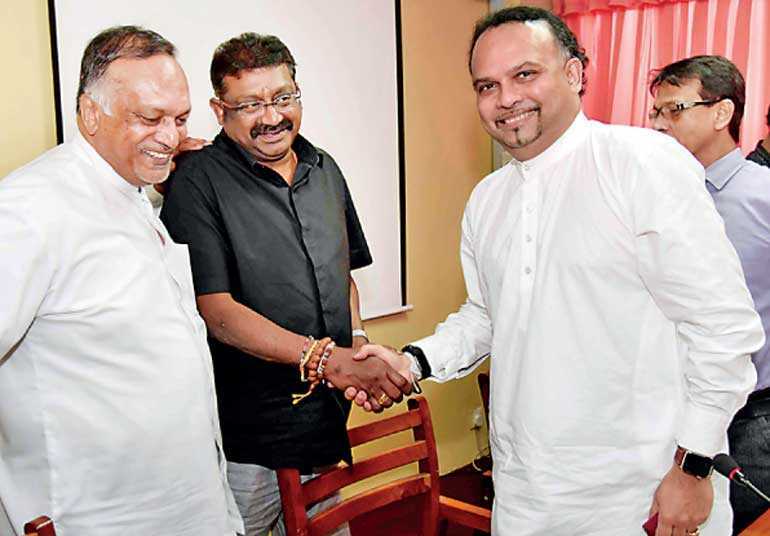 However, the negotiations of over three months were betrayed on Monday January 28, when a revised agreement was signed at the Prime Minister’s official residence at ‘Temple Trees’ between two trade unions and the planters association, increasing the daily wage from 500 LKR to 700 LKR. But previously, workers were able to earn up to 730 LKR per day inclusive of incentives, while with this new agreement, the incentives are not included and therefore allowing a maximum daily wage of only 750 LKR. The President of the All Ceylon Estate Workers Union, Mr. Selvaraj said that the daily wage has only increased by a mere 20 LKR due to this agreement. He rebukes this agreement which was led by politicians who capitalize on the grievances of plantation workers, and that this negotiation has hoodwinked the workers.